Venue: Charles Schwab & Co.
Seeking Professional interested in new career opportunities! Central Florida Chapter NBMBAA has partnered with Charles Schwab for an evening of networking. 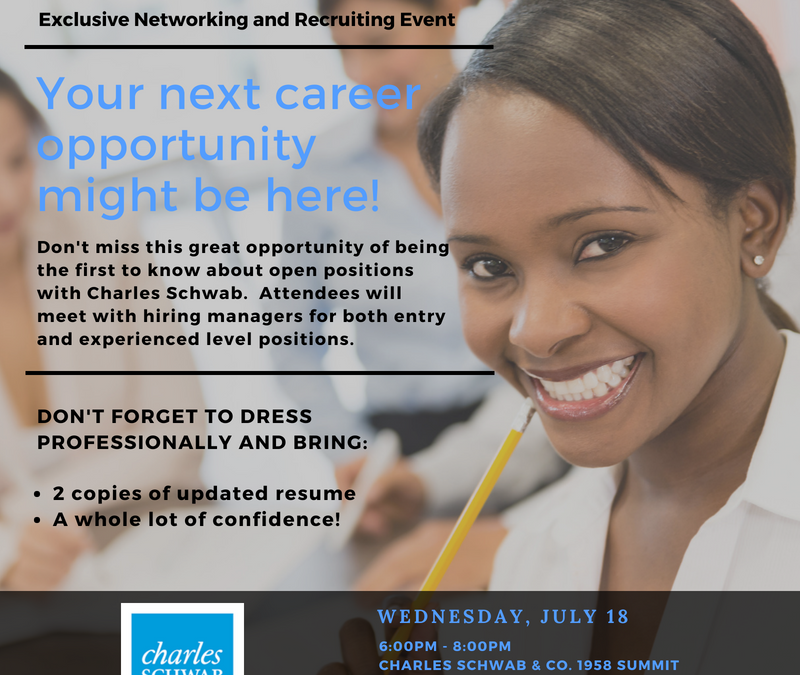 Join us for an opportunity to be the first to meet hiring managers and get information about open positions at Charles Schwab. Entry level and experienced professionals are invited. Dress professional and bring your resume!